David Fraser, John Porter, Sandy Gordon, Eddie Fraser, Ian Thompson, Jack Budge. Just had to drop you a line after seeing this photo. I remember seeing it as a boy in the 1st Thurso in the late 70's. 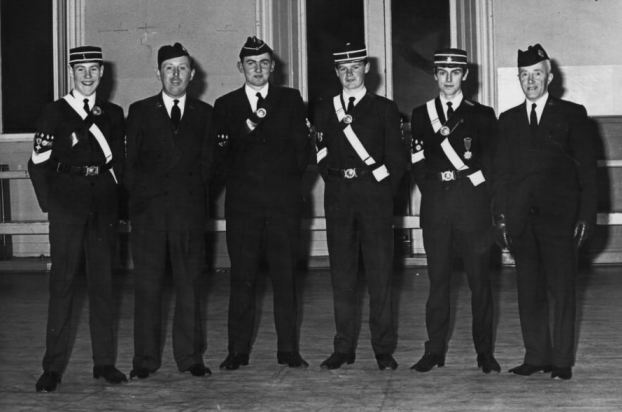 David Frazer was by then Captain and Jack Budge was still active in the BB as our first aid instructor. Myself and three of my brothers were all members of the BB in Thurso. but then it was Little Alan Chalmers, Big Alan Chalmers, Steven and Mark Chalmers.